So i bought this pi3 and feed it with retropie, im beginning to understand how it all works. I want to buy a used cabinet and create an arcade machine. I still need some tips, i love the old crt looks but th pi has and hdmi out, is there an easy and not to expensive way of outputing to scart or say vga (an old pc monitor), or do you think the crt shaders could be a nice way of emulating those scanlines. Another advice is regarding the controls, i wanna setup 2 joysticks in order to play games like sreet fighter so 6 button would be essential. Plus im confused on how to go with connecting to the pi3, via an encoder usb or via an encoder trought the gpio. If someone could send me a link of a decent kit i would appreciate it. You can easily connect the Pi to VGA using a HDMI to VGA adapter. Forget the kits, sure they look good value for money and everything is conveniently there but they are usually garbage. You can either get a encoder such as a Ipac from ultimarc or you can get a game pad encoder like a xin mo. Either will plug in via USB and allow you to wire your sticks and buttons to. But if you are planing a full size cab you will be better off using a PC than a Pi. 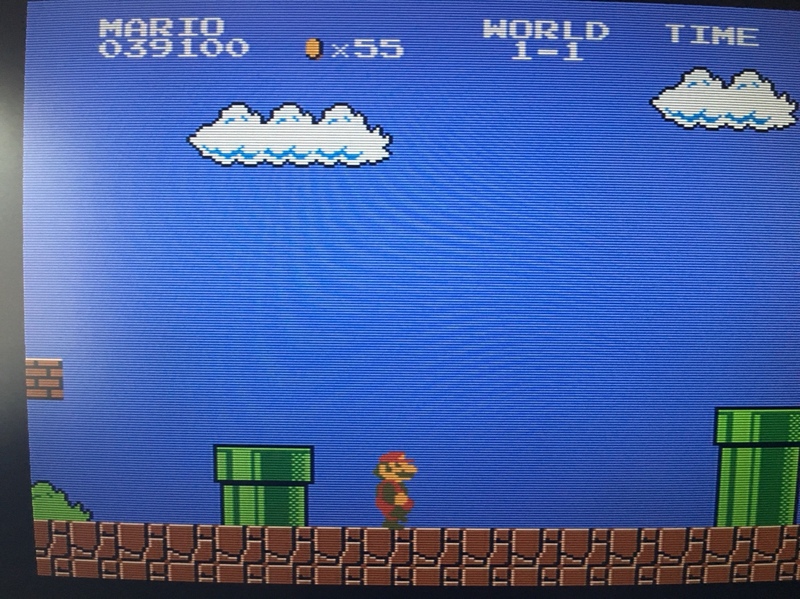 Oh and to just add retropie has some quite nice crt shaders if you do go for lcd. Don't use an LCD. The pi natively supports composite 480i and 240p. There's also adapters like pi2scart. Im curious about the pc option. Ive been testing some roms with the Pi3 and ive found the performance quite good. Why do you suggest a more elaborate option like a pc. Ive heard Ipac is good, but as i dont wanna spend that much money, i think ill stick with a zero delay. I just dont know what joystick and buttons should i choose. pi2scart is a little expensive, and i dont know if ill be able to connect it to the GPIO, as for the hdmi to vga converter, its quite cheap, but ive read it takes some adjustments in the config file. Maybe ill buy one and test things, they are quite cheap. Why even bother? Every suggestion is either too expensive for you or too difficult. This is my short version. is there an easy and not to expensive way of outputing to scart or say vga (an old pc monitor), or do you think the crt shaders could be a nice way of emulating those scanlines? I used the Gert VGA 666 adapter. Works pretty well with filters. I would use an LCD over CRT. PC CRT really doesn't have visible scan lines like an arcade monitor (low rez). With shaders it will not matter much. Viewing angle is better on the CRT but won't matter mounted horizontal. Vertically you can use an IPS LCD to fix the viewing angle or just mount the crt vertically. There are a ton of options out there. You loose the gpio on the pi using the vga adapter so you have to use a keyboard emulator. I have used a lot of ultimarc products. j-pac for hooking into a cab that is already jamma. i-pac for standard cab. If the cab has speakers you will probably need an amp to power them or replace them with pc speakers. This hobby can get pretty expensive even just converting a cab. I-pac will do pretty much anything you will need it to do, is simple to hook up, has great support, software, and is commonly used in projects. Saves time and headaches so it's worth the money to me. I just dont know what joystick and buttons should i choose. Bat top or ball top? Mounting to metal or wood? Bat top you can just go with some happ competition joysticks with happ buttons. basic setup. mounts well to 3/4 wood. Sanwa has some nice joysticks and buttons but mount to metal. So you might have to come up with something to mount them to something thicker. Don't listen to those grumpy old men. Zero delay does the job, just get a kit and it works out of the box. If you want better quality, you gotta pay more for better buttons and sticks. But again, those kits do the job as well. PC > RPi3, but also here, the RPi does the job for most old arcade and console stuff. Dont cheap out on your controls. I usually use Minipac, they are not overly expensive, are easy to set up and very customiseable. Same thing with buttons and joysticks dont go cheap! I personally like Happ concave classic buttons and Sanwa JLF sticks as a “encompass all” but lots of good buttons and sticks out there depending on your personal preferences. Pi’s are awesome but the version of MAME on retropie is old. A pc can run a up to date version and is far more customiseable in terms of what you can do and play on it. Pi’s are great for small applications but if you have room for a PC in the cab thsts the better solution. Just to give you a idea BTW this is what the filter looks like on my 32” LCD. rpi3 with 240p out, advmame tweaked for it and a thrift store CRT TV looks damn good. to be sure newer mame with bgfx will make LCD's look nice but at what cost? How much PC do you need in order to pull the above graphics on a 32inch LCD? Yeah. Can get a crt tv for free, and guess what? It looks like a crt without even using shaders. I guess people just have more room here to store old crap. Last time my friend moved......I turned down TV's of all sizes because they just had composite and S video in. Its mad, I went to the tip today to scrap some stuff. And I saw about 30 CRTs sat in a container! Now ive got posts up on facebook etc offering to buy one for a fiver and nobody is biting! I personally prefer a CRT over LCD based on my limited experience. Its more authentic looking without requiring shaders, which will further bog down a Pi IIRC. Currently use a 27" FS120 Sony Wega t.v. in my home with a Pi via composite running 240p vertically (t.v. is on its side), and have no issues. I've got less than $60 invested in my Pi setup and am digging it. My first cab is going to be the same Pi with a $5 Sylvania 19" CRT displaying 240p over composite with a Zero Delay. More interested in learning than spending, and can always upgrade components later. One day it may be a legit Jamma cab for all I know... try to leave room for modifications if possible. I want to thank you all for your time and patience explaining things to a newbie. For now I think i know what i will do. But I still have to buy the old cabinet and from that buy the other parts, like the monitor, joystick and buttons. My work is consuming all my spare time, but i still wish to have it ready for christmas. Will update when possible. Thanks once again to all. So i decided to buy this kit with indústrias lourenzo joysticks and buttons. Ive spent 80€, but as i was advised to not cheap out on the CP i consider ir was well invested. Soneto de the acuracy in the diagonals is nota ideal, but i think that happens because they were bottom mounted, and they are too deep inside the wood. Next time ill try a layer aproach. As i have little time and tools, i needed to improvise, só i bought this box at a bricolage store, and mouted some screws só i could lay this old LCD that i hád. Its a pseudo bartop. Now i need to cover the LCD, and build the top led light. Once again thanks to this great community for helping newcomers. Sorry for the shity screenshots, im at workshop. IL stuff is reasonable quality. But yeah those sticks look very low! You want no more than 1/2” really. If needs be you could route out the underside for the sticks which will give you more throw. IL isso just reasonable. I ser, what do you consider to be a good One? The wood is from a standard box, i measured 1,5 cm. Maybe i should buy thiner wood, but im afraid under 1 cm Will be be to fragile. Increasing the hole wont do, i dont like to see the stick só down. Thats why i was thinking layers. One to top mount the stick and another very thin to cover things. I have to drill the holes for the buttons with the two pieces of wood juxtaposed só they Stay aligned. Makes any Sense? There should be no need to layer the CP. Something in the 12mm range should be ideal but 1.5cm is pretty close. If you want to raise them just route out a few mm from the underside where the joysticks mount.